Medical Yankauer Suction Set is suitable for pre-operative removal of secretion and body fluids. Cut to fit funnel connector to suit different suction pump lines at proximal end. This suction set is highly acknowledged for rugged construction, high strength, enhanced durability, smooth surface and light weight. Medical Yankauer Suction Set is suitable for pre-operative removal of secretion and body fluids. 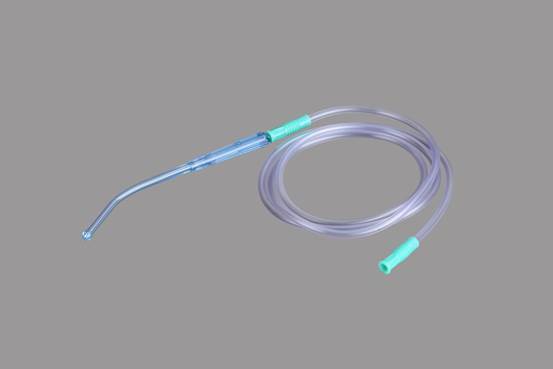 Cut to fit funnel connector to suit different suction pump lines at proximal end. This suction set is highly acknowledged for rugged construction, high strength, enhanced durability, smooth surface and light weight. Medical Yankauer Suction Set provided by us is carefully manufactured with the help of utmost grade components and advanced technology as per the industry set standards. If you have any question feel free to contact our professionals who are always available to help you at any time.